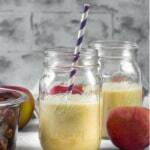 Apple smoothie is a delicious way to start your day with the goodness of milk and apples and with no added sugar. It is ready in less than 5 minutes – now you have no reason to skip breakfast. 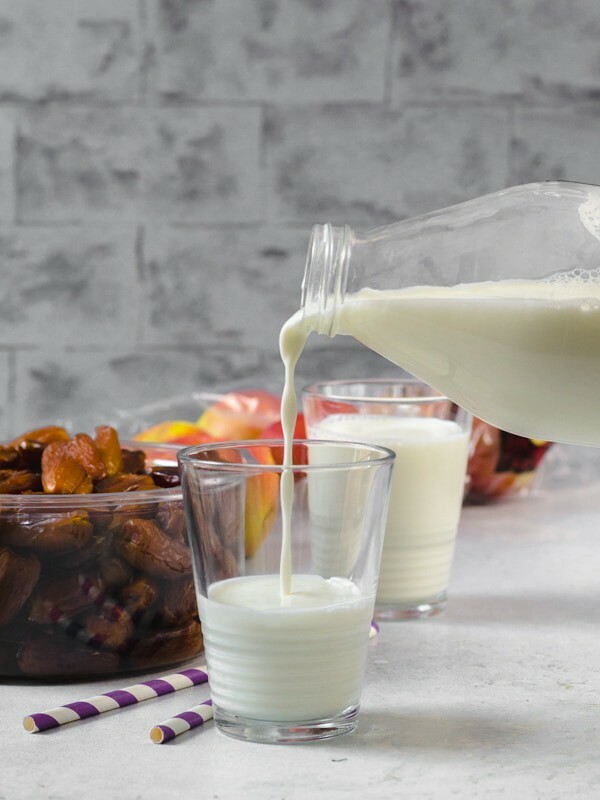 Milk was so entwined in my daily life growing up – no matter what, my brother and I had to drink two glasses of milk every day once for breakfast and the other right before bedtime. 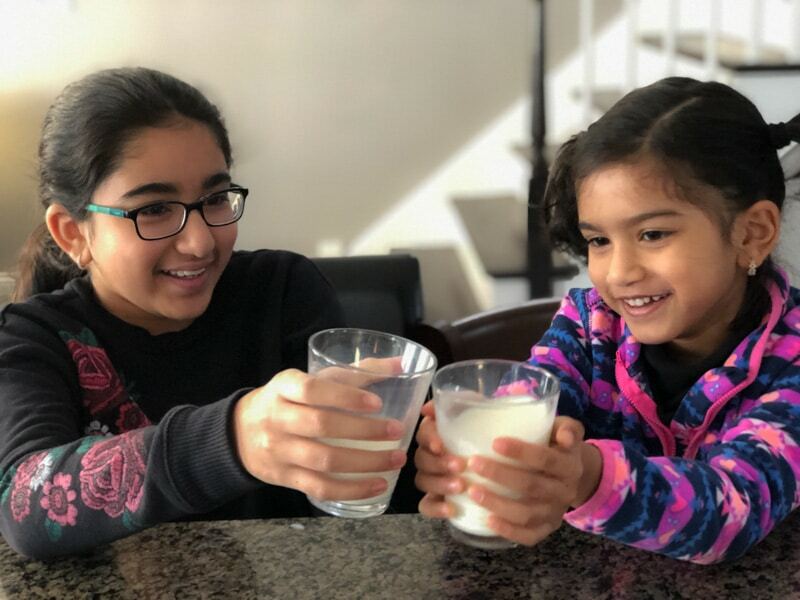 Drinking milk was a non-negotiable part of our routine – and it wasn’t a real negotiation at all, we loved the creamy goodness and flavor and we’d lap up our milk faster than a cat! Did you know that kids these days aren’t drinking enough milk? 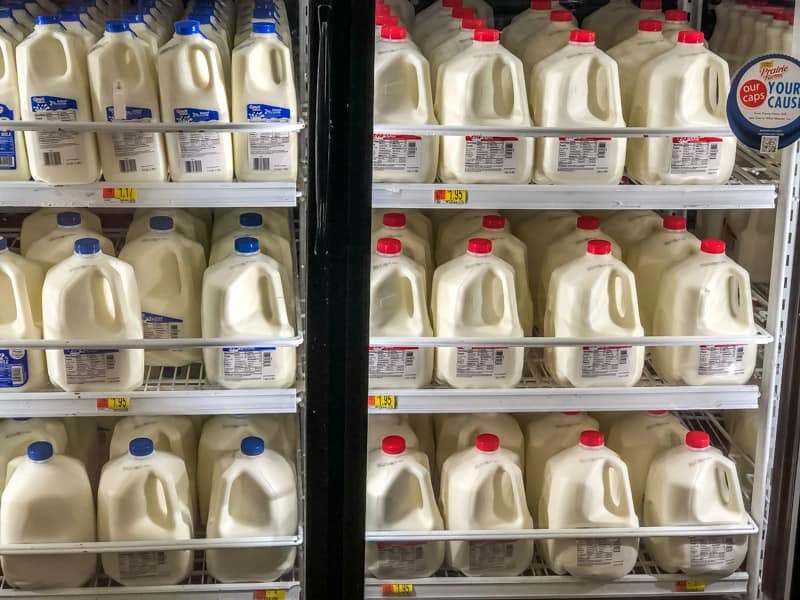 This is concerning because kids aren’t getting enough of milk’s nutrients, like calcium, potassium and vitamin D that they need to grow. That’s why milk-based smoothies are a good way to encourage kids to get more milk. With so many extracurricular activities that the kids are enrolled in these days, bedtimes are getting delayed and waking them up early in the morning for school can be a real challenge. And it’s hard if you have kids like mine who resist breakfast and prefer sleeping to eating. I blend them up quickly in the morning and pour it in a travel smoothie cup. That way my kid can chug it down on her way to school and I can be happy about the fact that she is having a nutritious drink that will keep her satiated until lunch. And then there are moments like this when we have some time in the morning to savor a glass of milk along with a few laughs. So if you or your kids have an early start don’t just leave the house on an empty stomach. Chug down a glass of milk or if you have a few minutes make an apple smoothie. Would you like a chance to win a year’s worth of free milk? How to Enter: Post a photo on Instagram showcasing your “Love What’s Real” milk moment (photo must include milk) and include the hashtags #LoveWhatsReal and #Sweepstakes. No Purchase Necessary. Ends 2/28/19. For more details and official rules, check out this link. Prize: A year’s worth of free milk! Making apple smoothie is easy. 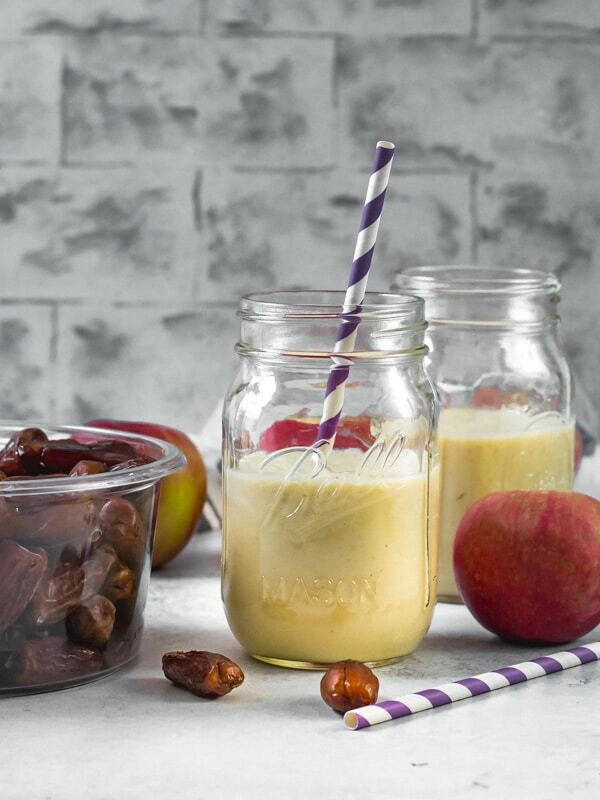 Just add chopped apples, dates and blend. Chop the apples right before making the smoothie to prevent discoloration. 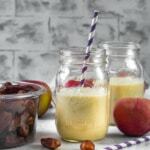 You could always add sugar or honey to sweeten the smoothie but I prefer dates because of it’s superfood status. ★ DID YOU MAKE THIS RECIPE? PLEASE GIVE IT A STAR RATING BY CLICKING BELOW! 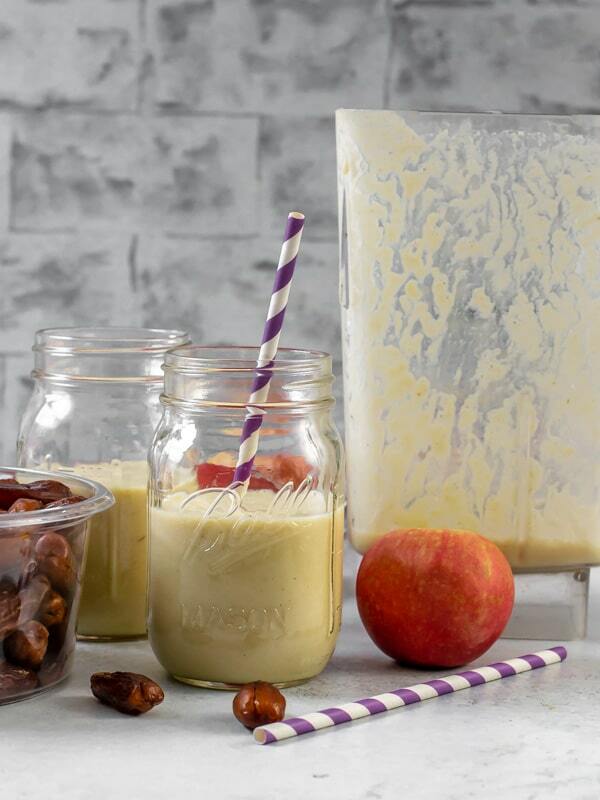 Apple smoothie is a delicious way to start your day with the goodness of milk and apples and with no added sugar. It is ready in less than 5 minutes - now you have no reason to skip breakfast. Add all the ingredients to the blender and blend until smooth. Serve immediately for a best tasting smoothie.